Rarest chocolate in the world? What are macambo beans? They grow on a large canopy tree which is within the same plant genus as cocoa, but this these rare bean has a distinctly lighter and larger appearance. Sometimes referred to as white cacao, the macambo’s taste can be described as something between raw cacao and a cashew nut. In its typically eaten form of being dried or lightly toasted, the texture will be crunchy and flaky. These should not be confused with the similar sounding, but very different plant, the maca root. Yes, that so called superfood also comes from South America, but it grows in the ground and looks like a turnip. That’s far different from a bean found on a tree which can grow nearly 100 feet tall (30 meters) when it needs to compete for light in a dense forest (1). There’s actually not a lot of evidence to support maca benefits based on the clinical studies to date. Nor can much be claimed about macombo, but for a different reason. It’s not that they didn’t live up to expectations in research, but rather, no one has really done any! There are zero clinical studies about it. Probably because this exotic Amazonian food is largely unknown in the modern era. In fact, if you do a search on the NIH’s PubMed database, you will only get 2 results for Theobroma bicolor (the scientific name of the tree) and they’re related to agriculture, not papers about human health. Yet even with zero clinical data on macambo, there are some concrete things to suggest it may have potential. For one, it contains the same alkaloid found in cacao beans – theobromine – which is known for having nootropic benefits similar to caffeine. Research suggests that theobromine may stimulate greater alertness, energy, and a sense of well-being in some people (2). In a 2016 issue of the Brazilian Journal of Pharmacognosy, on pages 665 through 798, they published research about the antioxidant and anti-proliferative (anti-cancer) effects of Peruvian medicinal plants. One of those listed in the research happened to be this white cocoa bean. Not to be confused with the other white cacao known as pure nacional, which is the world’s rarest chocolate (we will discuss that too in a minute). Thanks to Imlak’esh Organics, here’s a closeup of what these macambo white beans look like. In the research, they reported the ORAC value of macambo seeds came in at 24,300. To put that in perspective, the ORAC for maca root – another alleged superfood from South America – is only 6,100. That means macambo is about 300% higher than maca. 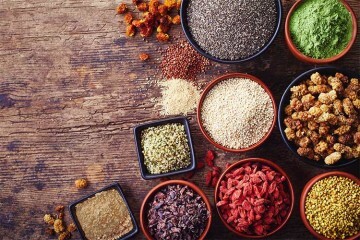 Of course, antioxidant activity is by no means the only way to define a superfood. Mushrooms have relatively low amounts, yet many contain unique phytonutrients which appear to demonstrate advantages for health. But remember what we said about maca. Just a few months ago we published our review spanning two decades of every clinical report listed in PubMed, and frankly, we were not sold. That means the only proven advantage as of today is the in vitro antioxidant measurement for maca. At 6,100 that number is not impressive. In fact, it’s very low when you consider the serving size which is just a teaspoon or two. 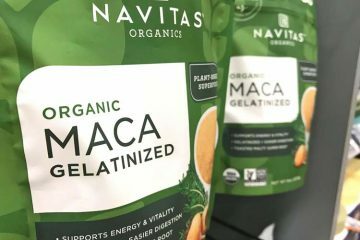 ORAC is for 100 grams of a food (about 3.5 ounces) and no one would eat that much maca at one time, or even in one month probably, given its hefty price. 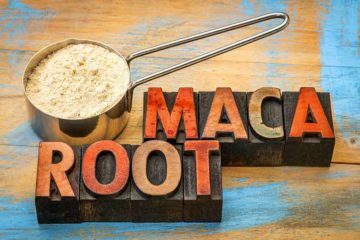 In short, the only proven thing for maca and macambo is their in vitro antioxidant activity… and for that, macambo is the clear winner. 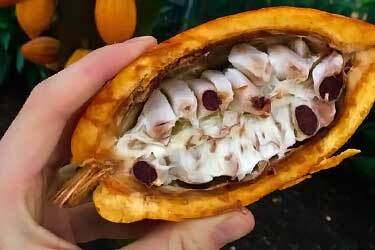 Used to make chocolate, this is what the inside of a raw cacao pod looks like. Macambo is very similar. The former comes from Theobroma bicolor and the latter from Theobroma cacao, which is the famous plant used to make everything ranging from Hershey’s milk chocolate bars to the fine Swiss darks. While difference, these species are closely related. In addition to these two, there are actually 20 other similar species within this Theobroma genus. An estimated one million cacao trees alive today, but only one thousand macambo trees. That’s according to Dr. Nicholas Hellmuth, the Director of the Foundation for Latin American Anthropological Research. When the Spanish conquistadors came, that changed. They considered cacao – which we use to make today’s chocolate – superior in taste. The rest is history and that’s why now, there are over an estimated 1,000x more T. cacao trees in the world than there are T. bicolor. In South America, these trees can be wild and sometimes cultivated in Brazil, Peru, Ecuador, and Colombia. You will also find them in parts of Central America, such as the Mexico-Guatemala border. They’re slow growing and only reach great heights when its necessary for survival… meaning to get sunlight. In open plains they reach a fraction of the height – only 10 to 26 feet (3 to 8 meters). That’s more comparable to how tall cacao trees grow. Some people refer to macambo as white cocoa and that can be confusing. For one, don’t confuse it with white chocolate. That comes from the exact same plant which produces dark chocolate; Theobroma cacao. The difference is that white chocolate is only a partial derivative of the plant. Technically, it doesn’t even qualify as being real chocolate since it does not contain any of the chocolate solids which are responsible for the dark brown color. 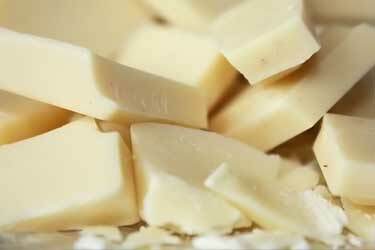 White chocolate is made using only the cocoa butter which is naturally pale yellow, and hence, the neutral color. Since it’s largely fat without flavor, it needs to be mixed with other ingredients like milk, sugar, and often vanilla in order to give it a good flavor. Peruvian white cacao is something totally different than both white chocolate and macambo. It comes from what’s called the pure naçional cacao plant, which for a long time was actually believed to be extinct due to disease. Living plants were not re-discovered until this century. Widespread cultivation of them has not yet happened and as a result, getting your hands on this delicacy can sometimes seem impossible. It’s like finding the finest caviar. 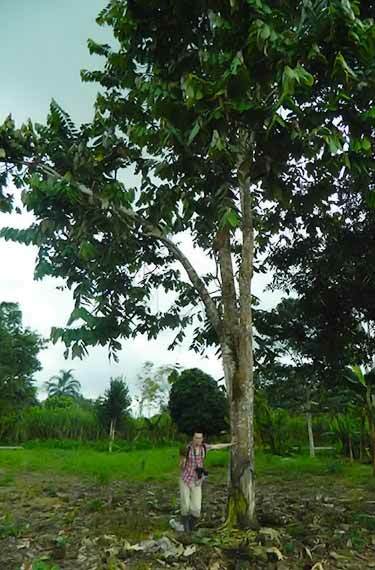 On a given tree, only some of the nacional cacao pods – around 40% of them – produce the seeds which are white cocoa. They’re lighter in color, because of their lower content of anthocyanins. It’s believed to be due to an inherited genetic mutation which occurred in the plant many generations ago. Since only around 40% are white, it means the very same tree will produce both the unusual pale and the more traditional brown. 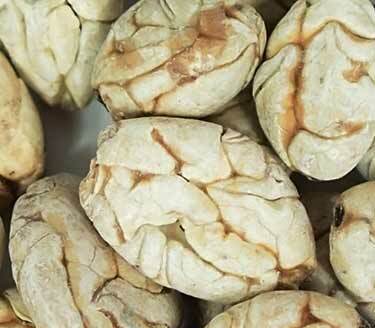 What is the rarest chocolate in the world is almost certainly this Peruvian white cacao. Even as of 2017, it’s very hard to get your hands on it, especially in countries where it’s not grown. To further complicate matters, as with any agricultural crop, the raw beans cannot legally be shipped across international borders without proper regulatory approval. Availability for this Peruvian white cacao is very limited and sporadic at best. If you can find it for sale in your home country, buy it while you can. 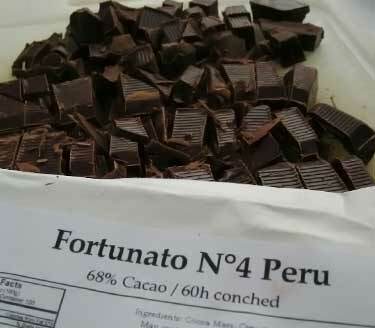 In the US, Marañón Chocolate sells pure nacional, which is branded as Fortunato No. 4. The number 4 is in reference to the 4th USDA genetics sample tested. That was the official designation of pure nacional when it was rediscovered and hence, declared again to be a living species. Since only 40% of its beans are white or lighter in color, the overall chocolate produced using them will still be brown. It’s similar in appearance to milk chocolate. ChocXO is only marked gluten free, but K’ul is labeled vega, soy free, non GMO and GF. Unfortunately as of 2019 it’s not available. We’ll update this again if we hear of that changing. You won’t find certified organic Fortunato No 4. 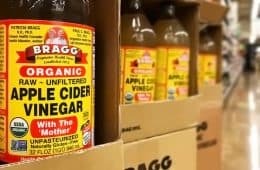 Being such a niche ingredient which already has excess demand, any USDA certifications would obviously not be worth the hassle for them. 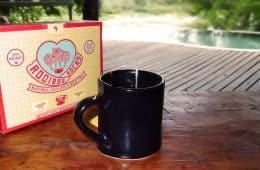 Getting back to the macambo white cocoa, it certainly is not as scarce as nacional, but it’s a delicacy none the less. Remember, there are only an estimated one thousand trees in the world growing this rare bean. 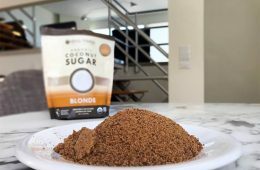 As a result, you should expect the price per ounce to run higher than what you would pay for regular raw cocoa powder. Is it worth paying more for? Taste aside, let’s look at the antioxidants found in both the common and uncommon bean. Going back to those test results published in the Brazilian Journal of Pharmacognosy, not only were the ORAC values for both macambo and regular cacao compared, but so were their phenolic composition. Of course with plain ol’ cacao, its ORAC has been known for years and its major phytonutrients have been known for decades. So nothing about that plant is news. But comparing the two side by side is something new. Pure raw cocoa powder has an ORAC of 55,653. That’s about double that of macambo cocoa, which is 24,300. So that’s the end of that, right? Regular cocoa is 2x the amount and therefore, 2x better. Case closed. 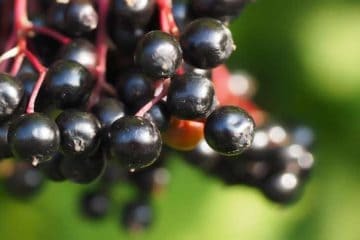 As it turns out, the amounts of many phenolic compounds and flavonoids in these two species measure quite differently. That means that regular dark cacao does not simply contain 2x the amount of the same antioxidants you find in macambo. For example when it comes to flavonoids, cocoa has higher amounts of the well known kaempferol and quercetin. But when it comes myricetin – a type you don’t hear much about – it turns out that macambo beans have over 1,000% more than regular cocoa beans do! When it comes to phenolic acids, ordinary cocoa has more caffeic acid but that’s about it. Macambo has over 2x the amount of anisic acid, p-coumaric acid, and vanillic acid, 3x the salicylic acid, 4x the ferulic acid, 23x the syringic acid, and 134x the sinapic acid. To be clear, each of these has different biological effects and should not be weighted in an equal manner. For example, the flavonoids kaempferol and quercetin are very well-studied antioxidants which are considered extremely potent. Regular cocoa has more of those two and that probably has a lot to do with its higher ORAC value. Whether or not the higher amounts of certain phenolic acids in macambo offer health benefits is yet to be determined. The takeaway here is that you can’t say pure dark chocolate is 2x better than macambo because its ORAC is 2x higher. Given their distinctly different phytonutrient profiles, it would suggest they complement each other, rather than compete, as a superfood. 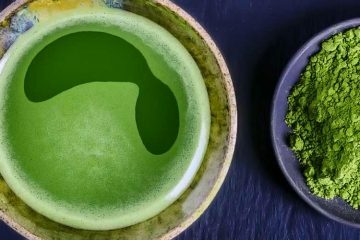 In addition to their antioxidant content, that journal also published in vitro (meaning laboratory) testing of what effects these purported medicinal plants had on cultured cancer cells. 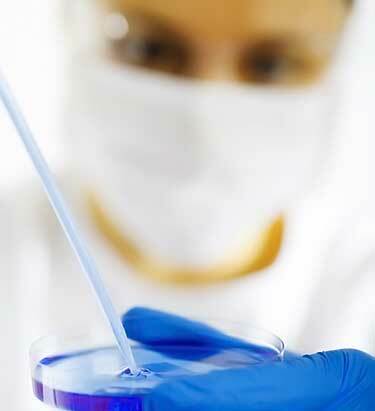 The cell lines tested were Hep-G2 (human liver carcinoma) and HT-29 (human colorectal adenocarcinoma). 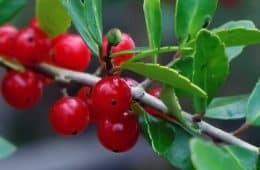 When it comes to their seeds/fruit, it’s actually the pataxte which demonstrated higher antiproliferative effects against both the liver and colon cancer cells. To reiterate, this is lab testing. It was not done in living humans. Furthermore it really isn’t that unusual to see plant compounds demonstrate this type of activity in Petri dish experiments. There are many that do. Just because they kill cancer cells in a Petri dish, it does NOT mean they will in the human body, after they have been changed through digestion and are likely in vast lower concentrations in the blood stream. That being said, lab tests like these continue to be useful for preliminary screening to find compounds which warrant a closer look. 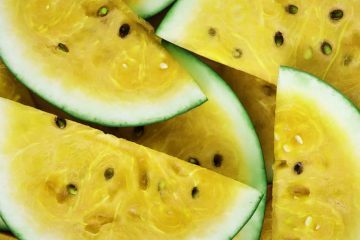 Perhaps the plant compound most discussed in the news as of lately has been guanabana, but whether it works in humans remains unproven. The popularity of nootropic, or brain-enhancing supplements, have skyrocketed in recent years. Many remain unproven and some are total scams. 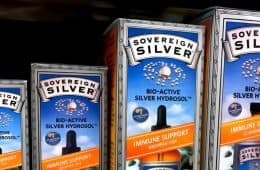 With absolutely no human clinical studies done using this bean for any medical purpose whatsoever, whether or not macambo is a nootropic remains a question mark. 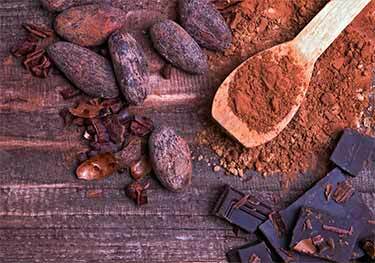 Though given its interesting phenolic composition, which includes some of the same alkaloids found in cocoa, it’s no surprise that many who eat it as a food believe it has mood-boosting benefits. 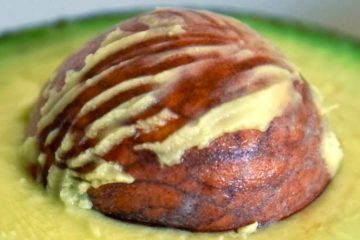 In Brazil, they call it cerebrito, which means “little brain.” Though it’s not clear if that nickname originated from the actual appearance of the seed or the effects people experienced from eating it. 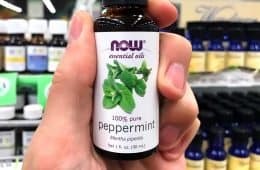 Since its full composition is not well researched, we don’t know if it contains potentially mind-altering compounds like serotonin, tyrosine, tryptophan, tryptamine and tyramine. But all of those are found in cacao, so it seems likely that some – if not all – are also in this species of bean (4). 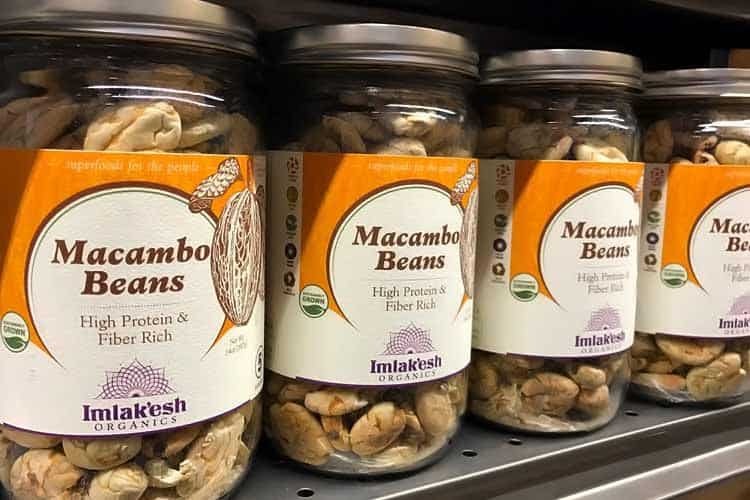 **Only trace amounts of sodium are naturally present in this legume, but please note that the only US seller, Imlak’esh Organics, does add salt to theirs (which equals 115 mg per serving). 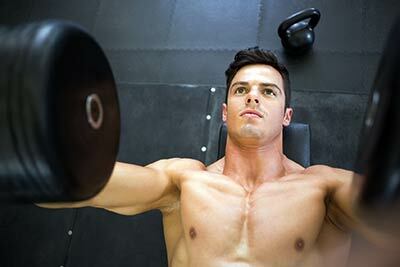 Bodybuilders will appreciate that 20% of the calories are coming from protein. 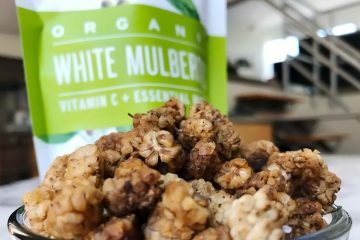 That rivals even the highest protein nuts which are peanuts, pistachios, and cashews. Dieters trying to lose weight will want to tread lightly on these, because they are a high fat and calorically dense food. That being said, just a standard one ounce serving provides you with about 1/3 of your RDI for fiber. That can help you feel satisfied which in turn, might lead to less eating (there’s a lot of debate for and against that viewpoint). While not found on the nutrition facts label, everyone will appreciate that macambo are rich in omega 9 fatty acid. Additionally, there are small amounts of other essential minerals like magnesium, manganese, phosphorus, potassium, and zinc. A lot of people just eat them as a protein-rich snack on their own – a healthy finger food like other types of seeds or nuts. They are big, but you can blend or crush them by hand quite easily. Use them as healthy protein-boosting crumble on salads and soups. They make an excellent substitute for peanuts on a chocolate ice cream sundae! As far as where to find them, good luck with that! Even here in Los Angeles, we have only seen them at one store (Erewhon in Venice). Whole Foods doesn’t sell them. Luckily, you can buy them on Amazon. Does David Wolfe’s Bio On Wikipedia Hint He’s Too Strange? Whole Foods in Redondo Beach and probably other locations now carries these. An archeologist/anthropologist may not be your go-to choice for information on tree species abundance. He says there are 1 million cocoa trees. I’m utterly baffled by that number in an article as “scientific” as this. Let’s break it down with a little logic. According to FAO the global cocoa production area amounts to 10,000,000. If in the world there are only 1 million trees this would mean 10 cocoa trees per hectare. Doesn’t seem like a very productive or profitable cocoa farm. On the other hand, consider the fact that in Peru alone more than 100,000 hectares of cocoa are harvested (https://www.inei.gob.pe/prensa/noticias/volumen-exportado-de-cacao-y-sus-derivados-crecio-159-8825/). The planting distance is almost ubiquitously 3 m x 3 m thus there are 1,111 trees per hectare. Do the math and you get over 111 million cocoa trees in only one country! Although the current distribution and species abundance data is lacking for T. bicolor I can almost certainly tell you it is not 1,000 trees. Besides that, it’s great to see growing interest on the wonderful macambo! 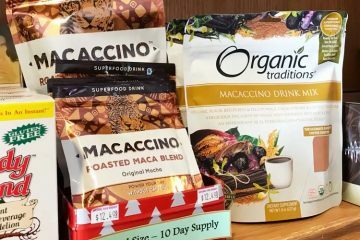 The Imlak’esh Organics Macambo is also distributed nationally at Sprouts Farmers Market!